The easiest way to get your message across. One of the biggest billboards on your lot is the vehicle’s windshield. Why not use it? By placing one of our Windshield Banners on your vehicle’s windshield you will be sure to get those customers in your door. Simple to install and remove in seconds. This 4’ x 20” colorful banner attaches to virtually any vehicle. Elastic bungee cords attach to the vehicle’s side mirrors. Made of heavy duty reinforced weatherized vinyl. This windshield banner works great for selling your used car. The message is easily seen and keeps the interior of the car cool! Selling a used car? Don’t forget to put a For Sale sign in your window advertising the car. It’s going to attract attention for your car on a consistent basis from people that find your car attractive in the first place. There are many ways to advertise your car. Some are more effective than others, and the cost can vary from free to quite expensive. Don’t feel limited by the suggestions you see here. Word of mouth is very effective. Tell your friends, relatives, colleagues, and anyone else you know that you have a car for sale. If your network is big enough, you might be surprised at how much interest you generate. And it’s free. Online classified ads are very effective. Cars.com, which operates in partner­ship with MSN Autos and Kelley Blue Book offer several ad packages from a two-week ad with a stock manufacturer’s photo of your model to a 30-day ad with free renewals and custom pictures. AutoTrader.com has ad packages that include posting your ad on several websites like AOL and Yahoo. Daily newspaper ads can work but aren’t as effective as they used to be. Some newspapers will give you both a print and online ad for one price. Ads in weekly shoppers and free news­papers can work, but they may have a lot of competition in attracting attention. 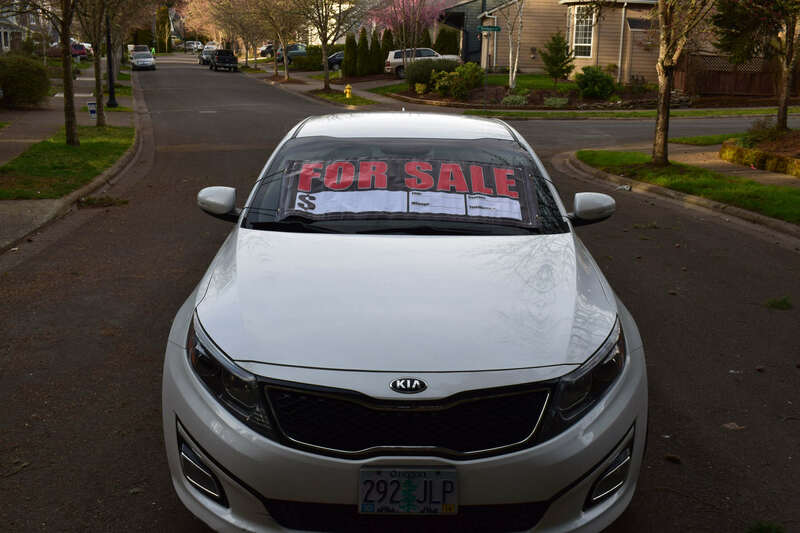 Or try the old standby: Put our exclusive “For Sale” sign across your car’s windshield with your phone number and a few other details, such as price, model year and mileage. CHeck out some of our other listings here: Classic JumBow Car Bow, key tags, and rolling key cases!